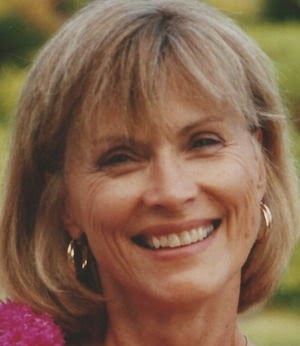 Velora Ellen LaMunyon, 75, died Sept. 9, 2014, in her Montana home surrounded by her family. Velora was born to Dillard and June LaMunyon in Woodward, Okla., and lived in many places throughout her life. Velora attended high school in Great Falls and then graduated from the University of Montana. A lifelong learner, she later attained two postgraduate degrees, Master of Education and Master of Business Administration. Velora was the director of the EWU Small Business Development Center and later was the manager of the Incubation Kitchen Center. Among her most rewarding professional accomplishments was her role in paving the way for so many women to become small business owners. Velora was an accomplished golfer, an elegant skier, a stylish dresser, a talented photographer and an enthusiastic traveler. She was a gardening perfectionist and as a photographer had a real eye for capturing the essence of the moment. Her adventuresome spirit led her to travel the world and at one time or another to live in Montana, Washington, Idaho, Arizona, Nebraska, New Mexico, Kansas, Oklahoma and Hawaii. Velora cherished her family. She leaves behind her loving husband, Wayne Anderson, who was her best friend and soul mate; her children, Ginnette and Wynn Kearney, and their children, Nichole, Mellisa, Brandon, Rochfort and Robert of Mankato, Minn.; son, Mike and Linda Sinclair, and their children, Colby, Stephanie, Christopher, Sydney and Ryan of Seattle; daughter, Ann and Clay Damon, and their children, Austin, Laina, Maxwell and Jake of Spokane; son Sigurd and Kelly Anderson, and their children, Boden and Elsa of San Francisco; and Eric and Debra Anderson, and their children, Hayden, Lyndy and Nolan of Edina, Minn.
Velora’s life will be celebrated with a memorial service at 2 p.m. on Saturday, Oct. 11 in Spokane at Life Center Church on Government Way. There will also be a celebration of Velora’s life at Superstition Mountain Golf and Country Club in Arizona this winter. Memorials are requested to the Flathead Lake Biological Station (406) 982-3301 or the Kalispell Regional Healthcare Foundation. To send a note of condolence to the family, please visit www.buffalohillfh.com Buffalo Hill Funeral Home and Crematory is caring for the family. Velora Ellen LaMunyon, age 75, the wife of Delta/NWA captain Wayne Anderson, passed away on September 9th in her Flathead Lake, Montana home surrounded by her family. Velora’s life will be celebrated with a memorial service at 2:00 pm, Saturday, October 11th in Spokane, Washington at the Life Center Church on Government Way. There will also be a celebration of Velora’s life at Superstition Mountain Golf and Country Club, in Arizona, this winter. Memorials are requested to the Flathead Lake Biological Station (406-982-3301) or the Kalispell Regional Healthcare Foundation. Reported by William Day, NWA retired.